Thank you for helping us provide care and comforts for patients and their families at Surrey Memorial Hospital. Since 1957, the Auxiliary has proudly raised over $6 million with the generous help of people just like you. Planning an event? Contact our office and speak with Lila if you’d like to raise money for the Auxiliary, or give a percentage of the proceeds to the Auxiliary. Our number is 604-588-3302 ex.#1. Contact our office today at 604-588-3302 ex.#1. We’ll be happy to take your credit card donation over the telephone. Tax receipts will be issued for gifts over $10. 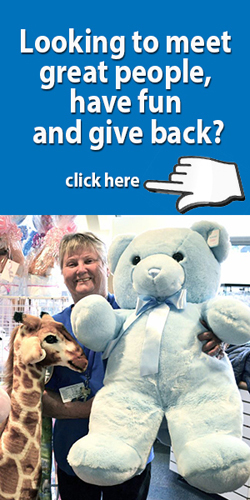 Penny Savers’ accepts gently used clothing, household goods, sports equipment, books, and games. We also accept some furniture. Please call (604-501-2111). Items can be dropped from 10:00 am to 3:30 pm at the rear of Penny Savers’ located at 11961 82 Ave, behind Fountain Tire.